Main Motor: 2 HP Single Phases. Production: 60 kg. /Hr. (Depends on Materials). Free: Material mixing formula, Training of machine operating and general maintenance. Production Capacity: 60 kg. /Per Hr. 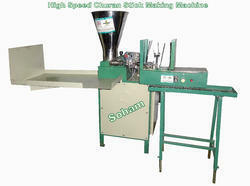 Looking for Churan Candy Making Machine ?